BAFHT offers many Preventative Care Programs. These programs are open to everyone in Bluewater – no doctor referral is necessary. Call us today to find out how you might be able to benefit from these great programs facilitated by dedicated healthcare professionals. All programs are free. Are you bored with your current snack regime and looking to try something new? In this workshop, come taste test some FREE, healthy snacks that you may not have tried before! This workshop is being hosted by BAFHT in partnership with Patricia Baker, RD, CDE and Susan Bird, RD from the Grand Bend Area Community Health Centre (GBACHC). This is a FREE EXERCISE CLASS offered at the Bluewater Area Family Health Team, in our Community Room. 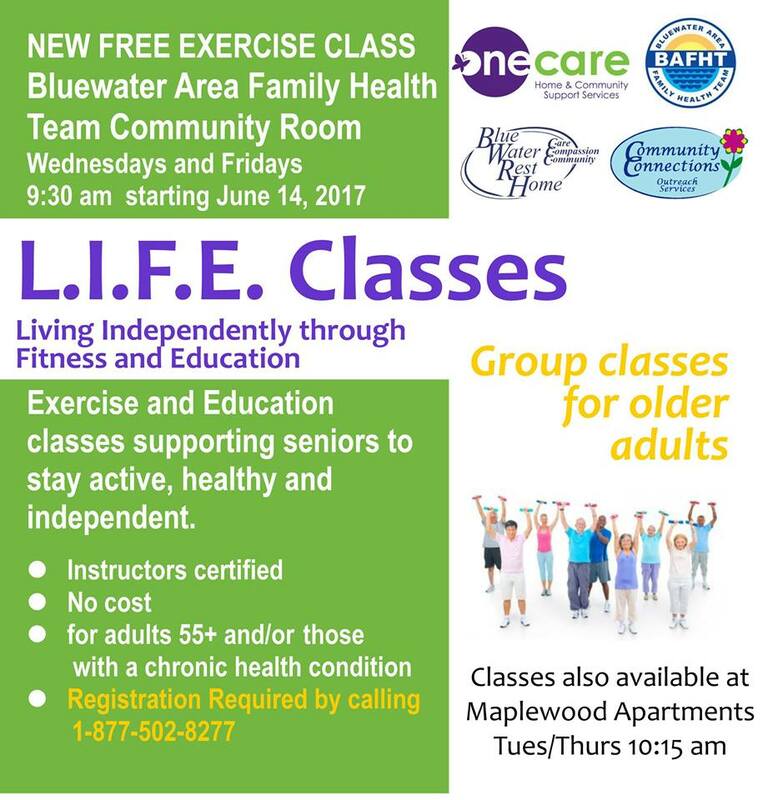 These classes are intended to support seniors 55+ and/or those with a chronic health conditions to stay active, healthy and independent. All instructors are certified. It runs every Wednesday and Friday, year-round, at 9:30am. Register by calling: 1-877-502-8277. This innovative program combines physical activity, therapeutic recreation and opportunity to connect with others living with similar experiences. It is offered to persons with early to mid-stage dementia and their care partners. Each session includes: a one hour fitness session with a One Care Fitness Trainer and a one hour social and brain health session with the Alzheimer’s Society of Huron County. Lack of sleep is the most frequent sleep complaint, cognitive-behavioral therapy (CBT) is one of its two evidence based therapeutic options. The basic philosophy of this program is that a time-limited intervention, focusing directly on the factors that perpetuate lack of sleep can be helpful regardless of the initial conditions that have precipitated it. The aim is to assist individuals to understand and develop healthy sleeping patterns. 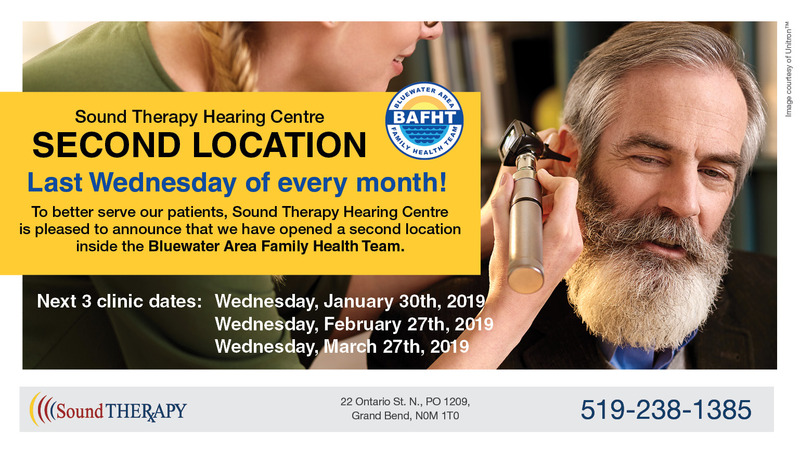 Call 519-236-4314 today to book an appointment with BAFHT’s Social Worker, Rossana Sabalones! Mindfulness is a meditation practice that teaches us to be able to slow down in order to be able to observe thoughts with an attitude of neutrality. We learn and practice simply by being present with thoughts and emotions without trying to change them. This ability to combine calmness with acceptance gives us greater opportunity for happiness even in stressful situations. 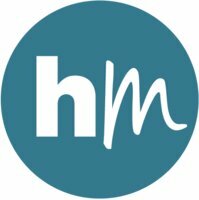 Practicing mindfulness has also been helpful in managing conditions such as chronic pain, sleep disturbance, including anxiety and depression. The aim of this program is to assist individuals in using mindfulness to alleviate anxiety and depression and live life to the fullest. Call 519-236-4314 to book an appointment with BAFHT’s Social Worker Rossana Sabalones! BAFHT offers a free Diabetes Clinic to patient’s, for education and diabetic care. The clinics run on the first and third Thursday’s of the month. Please note that BAFHT hours change to 8:00am – 4:00pm on Diabetic Clinic days. Phones are answered from 9:00am – 3:30pm. Please call 519-236-4314 for more information. If you want to quit smoking, we want to help! This is a FREE smoking cessation program designed by the Centre for Addiction and Mental Health to help you quit! Contact your healthcare provider for more information on how to become involved.